The Canary Islands are an archipelago under Spanish sovereignty in the Atlantic Ocean, which consists, among others, of the islands of Gran Canaria, Fuerteventura, La Palma, El Hierro, Lanzarote, Tenerife and La Gomera. The Canaries, with their pleasant temperatures, can be visited all year round, although we particularly recommend the months between March and November. Take a Canary Islands Cruise and discover the allure of Gran Canaria. The main town of Las Palmas impresses with its historic old town, recognised as the island&apos;s historical and cultural centre. Numerous cultural events make visiting this lively town a particular experience. It&apos;s then off to La Palma. This is a place which will thrill nature lovers in particular. The main town, Santa Cruz de la Palma, will delight you with its picturesque harbour and mighty volcanic crater, Caldereta. Some Canary Islands Cruises will take you to Lanzarote. This island&apos;s natural profile is defined by bizarre volcanic landscapes. Take a stroll along the idyllic harbour of Arrecife, the main town, or head for the Timanfaya National Park. Fuerteventura is a worthwhile destination for those just looking for relaxation, because the endless sandy beaches and weird-looking sand dune formations make it easy to let go of stresses and strains. Fans of water sport will get their money&apos;s worth here too. 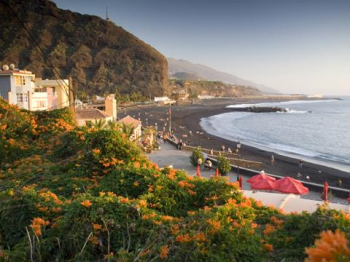 The main town, Puerto del Rosario, is home to a range of monuments which bear witness to the island&apos;s past. You will be captivated by the diversity of the natural beauty of Tenerife, the largest of the Canary Islands. Recharge your batteries on one of the beaches straight out of paradise or stroll along the harbour of the main town, Santa Cruz de Tenerife. With its numerous pedestrian zones, the town offers a range of the very best shops, as well as being of great interest from a cultural point of view.